The Level 5 Diploma in Accounting and Business qualification provides learners with the knowledge and skills required by a middle manager in an organisation that may be involved in financial management, financial planning and control, financial reporting, taxation and people management. The learners have to complete 6 mandatory to achieve the 120 credits. Mature learners (over 21) with management experience. Assessment and verification-All units within this qualification are internally assessed via assignments and externally verified by awarding organisation. There are no examinations in this course. Course Material – Course material, including presentations; handouts, assignment briefs and e-books are made available to enrolled learners. In addition to this, the learners also get the course handbook and tutorial via emails to support the learning. Online learning – The learner sets the pace for learning and the courses are offered across an academic year basis. Although our tutors encourage the learners to make progress monthly, this approach is flexible. Progressions- Successful completion of OTHM Level 5 Diploma in Accounting and Business provides learners the opportunity for academic progressions to a wide range of undergraduate programmes including OTHM Level 6 Diploma in Accounting and Business. Certification – The Diploma is issued by the OTHM Qualification- Awarding Organisation. 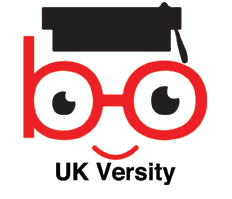 UK Versity Online Limited (Number DC1506132) is an accredited and approved delivery Centre for qualifications. * The fees include registration, assessment, teaching, and certification. There are no other hidden costs. Sanjay is a Mechanical Engineer and a Management Graduate in the field of Strategy, Business Management, Finance and Information Technology. He holds a certificate in Trade Finance and is also a Charterholder, Program in General Insurance from American Institute of CPCU and Insurance Institute of America. Anjum has over 15 years experience of which the last 10 years has been in teaching and research in the further and higher education sector. He is actively teaching at a few FE Colleges and specialises in teaching Accounting, Business & Management, Travel & Tourism courses.